“Homeland” just got even MORE interesting. RadarOnline pointed out that on Sunday Nazanin Boniadi appeared for the first time as a CIA agent named Fara.This is the same girl who, in 2004 was groomed by Scientologists to become Tom Cruise‘s next wife. Vanity Fair wrote the revealing story about Naz’s training and three month relationship with Tom that never went anywhere. He went on to marry Katie Holmes, whom Tom “auditioned” for a movie. The VF story validated all the rumors about Scientology providing women for Tom and embarrassed everyone involved. 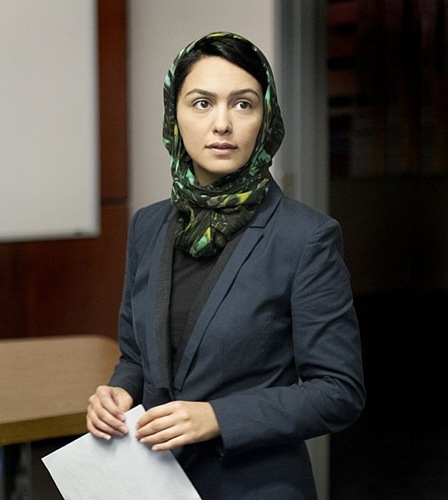 Nazanin recovered from the bad experience, split from Scientology, and now she has a role on “Homeland.” A happy ending.